Dear Brandon - last week before bedtime I chased you around the house calling you "My dearest Chonchito" in my best Spanish accent (think Pedro from Napoleon Dynamite). You are used to my normal bed time antics, but this time you genuinely looked at me like I was a crazy person. "Little chonchito, please don't be afraid," I exclaimed as I chased you down the hall. I'm not sure what chonchito actually means but eventually you laughed very hard and got me the glass of water I initially started pestering you for. Thank you for loving me. Sincerely, Chonchita. Dear lower back- are you getting old? You've been aching since I wrestled Brandon on New Years Eve. I'm going to need you for the next 70 years or so, so toughen up. Dear crock pot- I wish there was a way to express love to inanimate objects. Ummmm, let me try that again. I would hug you if I could because you make my life so much easier. Coming home from work to the house smelling divine and seeing that you've made a dinner out of the ingredients I gave you 8 hours ago makes me smile. Dear husband- last night I saw you stare at my arm while I was talking to you and accused you of staring because you thought they were fat. You were speechless. I almost burst into tears and was paranoid the rest of the night, self-consciously stealing glances at my jiggly arm. Whaaat? It must be that time of the month. & that is a super cute pic of YOU! Hahaha!! I'm cracking up. But mostly because you mentioned Napoleon Dynamite. The crockpot really is the best thing in the world! I don't know how I lived without it for so long. Omg. I made Jesse get up and out of bed the other night because I was craving croutons and blue cheese dressing. He refused my orders all the way up the stairs, and while he was preparing my midnight snack. He brought it to me begrudgingly and I responded with, "You know there was an open bag of croutons already. Why did you bring me the unopened one?" I am lucky I didn't get smothered by a pillow and become the plot line of a Lifetime television movie with a comment like that. Husbands are awesome. laughed out loud at the first letter. too funny. 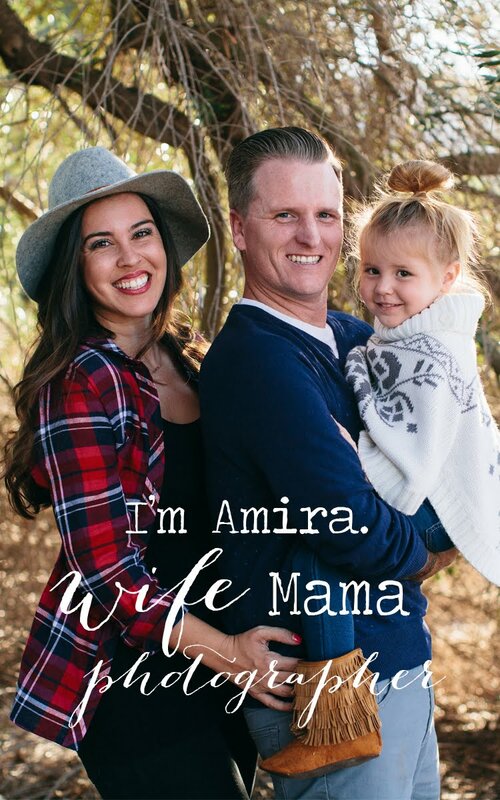 Have a great weekend Amira! Oh dear... We act a lot alike! I pester my husband all the time until he gets me the drink I asked for haha And crock pots are such blessings! Love, love, LOVE this post! Cute picture, yo! Have a great weekend! We do share a brain. Steve and I were thinking about Pedro from Napoleon Dynamite the other day. However we didn't put on Spanish accents. Our Spanish accents actually sounds like really bad Italian accents. And jiggly arms - lady friend I know all about that. Also also also - my knee has been aching sine mid January. The other day it was so swollen that I had to put a bag of frozen corn on it. Seriously old lady material. This was just too funny! Bahaha! This whole thing just cracked me up! My fiance loves when I speak Spanish. I know the look you're talking about really well, it's the "this is kind of funny, but I think you may need serious psychological help" look ;) I got this look just last night as well! Our men need a little humor and silliness in their lives and they know it! Oh the crock pot...mine is a she and we are best friends! I also love that you chase your husband around. That's hilarious. Haha...love your antics with the Hubs. 2) Crockpots are the bomb. 3) I <3 your last note! New Follower! I came over here from Ashley's blog and wanted to say HI! Haha, you crack me up! I love your little letter to your husband! Too funny! And I would definitely say those things to my lower back & crock pot. Just found your blog and LOVE it girlie! 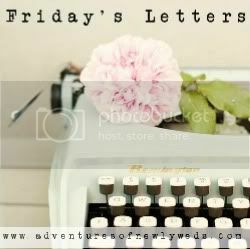 I love the letters idea! So great! Glad to be your newest follower!